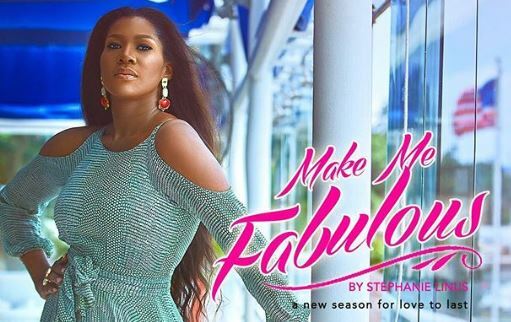 Nollywood actress and producer Stephanie Okereke-Linus has announced the return of ‘Make Me Fabulous’. The reality show will return for a second season on August 12. The multi award-winning producer of ‘Dry’ shared the news on Wednesday. Okereke-Linus told NAN that the second season of the show is set to be more exciting and would detail the journeys of 13 married couples. She said: “When I saw how much of an impact season 1 was, I knew we had to do this again. But we did it with a twist. Sharing a montage of the show and promotional posters, Okereke-Linus wrote: “Good news people! Make Me Fabulous is coming back to your screens with a revamped season 2. The unscripted reality TV show was created by Okereke-Linus in 2015 to rekindle the spark in marriages from newlyweds to old couples. During the first season, 13 couples were treated to a lavish and luxurious experience that ignited new meaning into their relationships. ‘Make Me Fabulous’ takes couples on a journey of transformation, giving them a chance to connect without distractions. In each episode, the couples bare their deepest challenges, share their high and low points, and enjoy a fabulous experience. An expert style and beauty team, together with a luxury treat and fantastic prizes, made their experience even more memorable.